“Self-love a cornerstone of our spiritual journey. The challenge is that while we may think self-love important, most people have no idea what self-love really is, and how to tell whether they truly have it or not. Self-love feels too vast, and esoteric. As a student and teacher of new thought spirituality, Christine brings a practical, tangible path to the spiritual seeker on the path to cultivate more self-love. Christine’s approach to self-love has been called breakthrough and the best teaching on self-love available. Christine is available as a keynote speaker for your conference or to lead a breakout session, lead a Sunday sermon, or host an afternoon workshop. 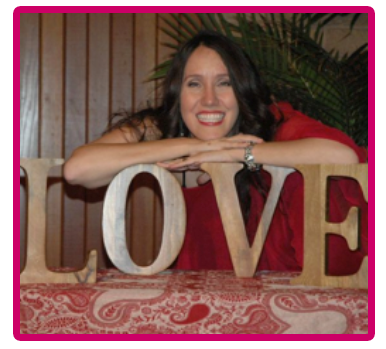 She is also available to work with your spiritual center and your leaders to create and deliver powerful self-love programs to your community that you can deliver using the self-love technology from her best-selling book and internationally acclaimed self-love movement Madly In Love with ME, the Daring Adventure to Becoming Your Own Best Friend. The Spiritual Practice of Self-Love: Choosing love for yourself over guilt, criticism, fear and shame towards yourself. Do You Really Love Yourself? Reveal where you are weak and strong in your relationship with yourself. Christine Arylo brought the LOVE. Her funny, endearing and heartfelt message provided simple tools to transform the number one relationship in everyone’s life, the relationship with yourself. Christine truly is the Queen of Self-Love! Christine Arylo turns the elusive task of learning to love yourself into a concrete, how-to, doable path that anyone can master. Madly in Love with ME is by far one of my all time favorite books. People really connect with Christine’s heartfelt stories and real life. I loved that her workshop was so interactive, it made everything so real and kept people out of there heads. They were able to move and integrate! Christine has a presence that fills the room. A motivated, passionate speaker who would lift the spirits of the community and workshop. Christine Arylo brought inspiration, passion, humor, and great ideas to us in her talk about loving ourselves. I highly recommend her. Christine’s message was thought provoking and meaningful, and she was a delight to work with! She is warm, open, and I loved how she spent time in the lobby signing books and talking to people between services. The people she talked to received love and truly felt cared for. We sold almost every one of Christine’s book we had. Error: Error validating access token: Session has expired on Friday, 19-Apr-19 12:24:14 PDT. The current time is Thursday, 25-Apr-19 11:18:37 PDT.